Was Sarawak’s Shell transfer to Petronas in breach of OMO 1958, Land Code and Federal Constitution? Yes. Sarawak Shell was licensed under OMO 1958, SLC 1958, SD 1956, SIO 1958 and Order In Council (“OIC 1954”), 3 years before Merdeka of Malaya in 1957, on the continental shelf of 100 fathoms stretching nearly 200 nautical miles of Sarawak’s continental shelf which was also the boundary of the Borneo Territories until it was reduced to 12 nautical miles under the United Nations Convention on the Laws of Sea (“UNCLOS”). Peru had also claimed hundreds of nautical miles. But Shell’s leases of O&G were therefore unconstitutionally and illegally usurped by Articles 8 and 9 of the PDA 1974 with amendment under PD (amendment) Act 1977 based also on the unconstitutional citation to the void and illegal Petroleum Mining Act 1966 (“PMA 1966”) with the Agong issuing the O&G and mineral leases offshore instead of TYT Sarawak before its foreseeable repeal and the transitional provision void against items 2(c), 2(a) and 2(d) of the Ninth Schedule State List Article 95(D) and 76(4) of the FC and illegal under OMO 1958, OIC 1954, SLC 1958. Therefore, the PMA 1966 has to be repealed and was repealed along with the Continental Shelf Act 1966 (“CSA 1966”) and Emergency Ordinances (“EOs”) 1969 after accepting the dominion of the 7 PM laws of Sarawak in November 2012 and 7 FCs. These should have been repealed in 1973 after the CCO Communists, Mr Bong Kee Chok and his lot, fought and surrendered on land not at sea. There were no pirates as in Sabah. This point was partially mooted in the book, “Rising Moon” of Michael Leigh, namely on the reluctance of the federal government and the National Operational Council (“NOC”) to lift the EOs, not because of a real emergency but for the misconceived reduction of the territorial waters from 12 to 3 nautical miles for the O&G under federal imperium. So the putative declared “Emergency” against the factual matrix was extended because of the OPEC with rocketing of O&G prices providing the bonanza billions of O&G revenues annually for subsequent decades that have saved, fostered and transformed Peninsula Malaysia at the expense of the Borneo Territories with the crumbs of 5% plus 5% basic royalty compared to 75% to 80% plus Federal gravy or split barrel or share profit of O&G and Petronas profits, dividends and the four taxes under our national interests. Unfortunately, that EOs were prolonged trying to legitimatize but erroneously the Act 354, the PDA 1974, PMA 1966, CSA 1966 and EEZ Act 1984 on O&G under Articles 4 and 5 which were void and illegal under the 7FCs, 7PMs and UNCLOS 1982. These were repealed only in November 2011 except the Act 354, PDA 1974 and EEZ Act 1984, after recognising the dominions of the Borneo Territories. Yet, the Territorial Sea Act 2012 (“TSA 2012”) was passed but still void and illegal too to replace the EOs to a certain extent. Federal imperium cannot supercede SLC 1958 and OMO 1958 of the 7PMs and 7FCs nor be able to “acquire” the rights of the O&G in the continental shelf. Thus, the unilateral termination of the Shell’s O&G leases licensed by the Sarawak government under that transitory provision was ultra vires, void, illegal, invalid and unenforceable against Sarawak because there was also never a constitutional and legally valid vesting and conveyance of Sarawak’s dominion to Petronas at all under the entrenched Article 95D, Items 2(d) and (c) of the Ninth Schedule State List on the licensing under the purported regulatory authority, Petronas, namely the sole economic right and right to issue prospecting licences and O&G leases regardless under one licence under the award system of PSC which exclusively always belongs to Sarawak government under the OMO1958 updated now as OMO (Amendment) 2018 and the above mentioned five tiers of constitutional entrenched provisions of the FC. The Rule of Law proclaimed by our new premier recently is a very significant constitutional landmark of constitutional parliamentary democracy with checks balances, not only on the fettered Malaysia Parliamentary sovereignty, but as the new Third Pillar, if you will, of AV Dicey, quite different from the British parliamentary sovereignty before EU, mostly with unwritten constitution except the Magna Carta (1215) and the Bill of Rights (1689). Is it correct that Article 13 of the FC on the compulsory acquisition on O&Gis never applicable to the Borneo Territories except to the States of Malaya? Yes. Under the Sarawak entrenched Articles 95D and 76(4) of the FC and Item 2(d) the proprietary and property rights of the O&G is not subject to the federal compulsory acquisition with reasonable compensation under Article 13 of the FC which is applicable only to the States of Malaya and the federal territories later, without the entrenched constitutional provisions and protection, from its land under the entrenched Item 2(a) extended from 200 nautical miles of exploitable areas with the prevalent O&G technology to 350 miles or 100 nautical miles from the 2,500 metre isobaths connecting the depth of 2,500 metres of its continental shelf under Article 76 of the UNCLOS 1982, ratified by Malaysia. So, there was never any effective, constitutional, legal vesting and conveyance of rights of O&G under the dominions of Sarawak and Sabah to Petronas. So, any retrospective legislation, namely Petroleum Development (Amendment) Act 1977 and 1985 (“PD(A)A 1985”) could not “cure” the ultra-vires, void and illegal acts under the 7FCs, 7PMs, Companies Act and the five tiers of constitutional entrenched provisions. Why the purported vesting instrument of Tun Rahman specifically executed under the schedule of Section 2(2) of the void and illegal PDA1974 was equally void and illegal? Under the constitutional law and under the FC, the purported vesting instrument could not, even with the approval by the cabinet, constitutionally and legally sanction that void and illegal purported vesting instrument to assign its ownership and exclusive right, specifically stipulated and executed under the schedule to the Section 2(2) of the void and illegal PDA1974 to Petronas irrevocably and in perpetuity without the approval of the Council Negeri under the above-mentioned articles of the FC and the fifth tier of our entrenched constitutional provision. 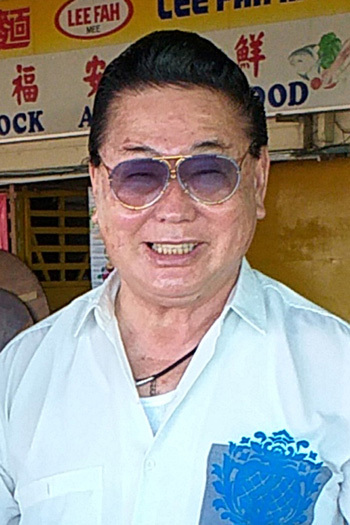 Furthermore, that void and illegal purported vesting instrument was barred by the constitutional taboo, namely on the prohibition of the federal government to legislate the PDA1974, Articles 4 and 5 of EEZ Act 1984 and illegal too for touching and affecting the coastal states of Sarawak on its land with its dominion of its O&G under Articles 95D, Items 2(a), (c) and (d) of the State List II under Schedule Nine, Articles 4(1), 76(4), 80(3), 162(i) and (ii) of the FC, 7PMs of Sarawak and Section 76 of UNCLOS. Therefore the approval of the Council Negeri is imperative. The Chief Minister has no constitutional powers to execute that purported vesting instrument under Articles 95D, 76(4) and Items 2(a), (c) and (d) State List Ninth Schedule and the others 7FCs when parliament is forbidden to compulsory acquire land and the O&G of the Borneo States under Article 13 of the FC, applicable only to the States of Malaya, and to pass laws such as PDA1974 for that purpose to sanction that purported vesting instrument of TR. There was also a fraudulent misrepresentation or concealment with the equitable remedy of rescission of that purported vesting instrument under the abovementioned Section 2(2) which was obtained or rather extracted solely as the head of BN for furnishing under the fraudulent pretence that it would only be used to show and convince Tun Fuad and Tun Mustapha to amend Section 48 of the Sabah’s Land Ordinance from 99 years to perpetuity by incorporating Section 13(1)(a) of the Sarawak Land Code and nothing more. But both leaders of Sabah had refused to amend that Section. Thus, to argue that the purported TR’s vesting instrument is still valid because TR could represent the state would be fallacious when the premier Tun Razak after failing to convince the Sabah leaders had implored Tun Rahman on grounds of national interests as dying declarations and earnest appeals on BN’s political alignment, not to go to the Council Negeri with no hope at all, to approve the agreed, void and illegal PDA1974, that purported vesting instrumentas well as the Oil Agreement, but to keep them in abeyance politically. That would be consistent and corroborative pieces of evidence of that fraudulent misrepresentation or concealment. The history confirmed that that was not only used for showing to the Sabah leaders initially to convince them to amend the Sabah Land Ordinance, but with the camouflaged, hidden and actual agenda to use the vesting instrument as the basis of Petronas’s purported right of licensing and ownership evinced decades later. Federal has used the void and illegal TunRahman’spurported vesting instrument eventually! True. As a dying PM, Tun Razak earnestly made the four dying pleas amplified previously as a part of dying declarations to Tun Rahman amplified before on grounds of national interests after disclosing to him that he would die by the end of 1975 according to the specialists in Harley Street, London for his terminal leukemia. Tun Razak passed away on 14th January 1976. Sabah had rejected the 5% royalty “as pittance” under Tun Mustapha and Tun Fuad who had a fatal air-craft accident on 6th June 1975. Datuk Harris signed the Sabah Oil Agreement on 14th June 1974, 8 days later. Just after the ink had dried, Act 354 and A Act 354 were passed on 27th August 1976 without consultation, agreement and approval by the Council Negeri. The abovementioned dates would be significant in the history of reforming properly on the purported vesting instrument under the dominions of the O&G of the coastal Borneo States. Was Tun Rahman under a political compromise under compulsory BN’s alignment, a sort of a “political duress”, if not strong pressure? What is your hope and fervent plea for Sarawak? Tun Rahman had to make the most difficult and reluctant decision as the BN head of Sarawak to accommodate the dying premier Tun Razak although he suspected that one day the void and illegal PDA 1974, 2 1/2 pages Oil Agreement and the TR’s purported vesting instrument would be disclosed in the future. That has come to pass. On the overwhelming 80% federal revenues or gravy to ratio of 5% plus the extra 5% royalty (for Sarawak partially paid out of 10% cash payment under Section 4 of PDA1974) sadly was disproportionate and inequitable to the Borneo Territories even under the national interest and to help other states of Malaya not endowed with such national resources such as Kedah and Perlis states under the social concept envisaged akin to a local socialism, if you will, as explained by Tunku Abdul Rahman and Tun Razak. Sarawak was and is also poor and underdeveloped with 7 out of the 10 poorest districts in Malaysia. 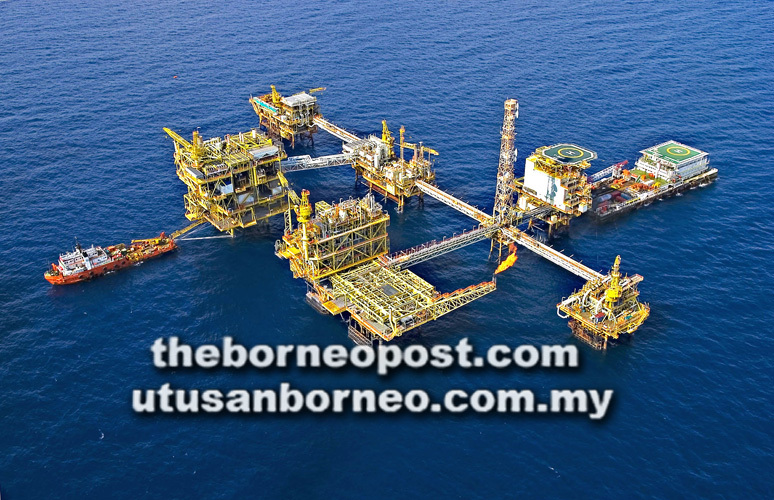 But the Borneo States with their dominions of their O&G should have been paid at least 20% to 30% royalty at the beginning in 1975 by the federal government and Petronas. Charity should begin at home. The Pan Borneo Highway now is a living proof of that. 20% royalty or equivalent of local sale tax in the interim period has proven to be affordable in the previous articles with this local sale tax which can easily be absorbed by the share profit or the split barrels of 30% to 53% of O&G assigned to the federal government, in addition to 22% tax, huge profits and dividends of Petronas. Petronas with 80% share profit of O&G from the Borneo Territories became and still is the saviour, national catalyst for the transformation of Peninsula Malaysia but sadly left them behind in the rural development assured by the two Prime Ministers under Article VIII of MA 1963 up to the standard of Peninsula Malaysia with their five tiers entrenched constitutional rights whittled away by the federal wind and wave. In Malaysia, seven out of the ten poorest districts are in our state, reflecting “outwardly rich, inwardly poor”: was confirmed by the Associate Professor Madeline Berma. Federalism also has provided a “biased development focus and allocations for the Borneo States, worsened by the political control of the federal government,” coupled with short-sighted convenient planning partly due to more costly development of Sarawak truncated by numerous rivers with mostly remote areas with difficult accesses, lamented Dr Fatimah Binti Kari. For the record, Sarawakians are grateful that Tun Mahathir did stop UMNO spreading its wing to Sarawak at the critical political history of Sarawak at the late 1980ies with the Ming court’s affairs when compared to Sabah, otherwise the present political legacies and configurations would be quite different. We would be in the same predicament as Sabah. We hope Tun Mahathir’s close relationship with Sarawak will always remain cordial with mutual respect and benefits to reach an amicable legal and political settlement; and will continue to let the present Sarawak, out of BN formation already, to achieve its own dream, autonomy, not Sarawak-exit as advised by our PM in the fulfilment of our founders’ wishesand destiny in the fulfilment of MA1963. Let us hope the visionary and fair-minded Prime Minister and his successors will share and fulfil the Sarawak’s and Sabah’s dreams, aspirations and honours of their founders under these hybrid sprung verses for overdue “poetic justice,” if you will. When implemented our nation will be a shining model on constitutions.